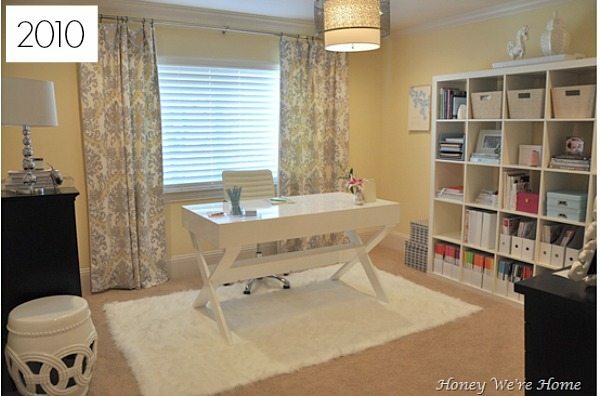 Sharing my home office on Monday made me stop to reflect on how far we’ve come with the decor in our home in other rooms as well in the past 4 years. 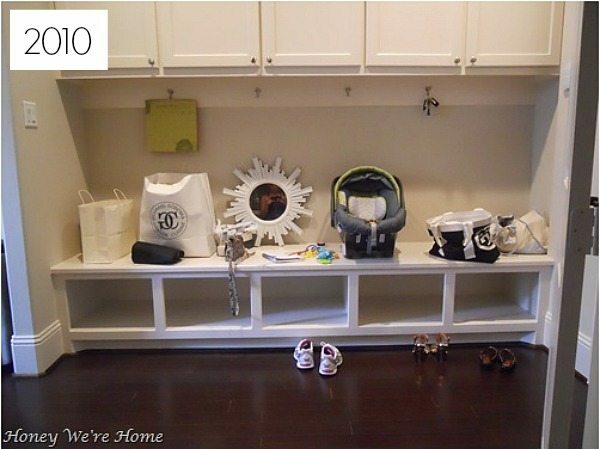 We moved into our home in July 2010 and through my blog archives, I found a post I wrote on July 15, 2010 that showed all the rooms in our house as we were just about to move in. I specifically remember how excited I was to be moving our family from a dark, small townhouse to a bright, spacious home. Our son was just 4 months old and it was a dreamy time.We started pretty much from scratch with everything in this house as far as furniture and decor goes and I have learned so much over the years about my style and what I like. I guess it’s taken me time to figure this out. 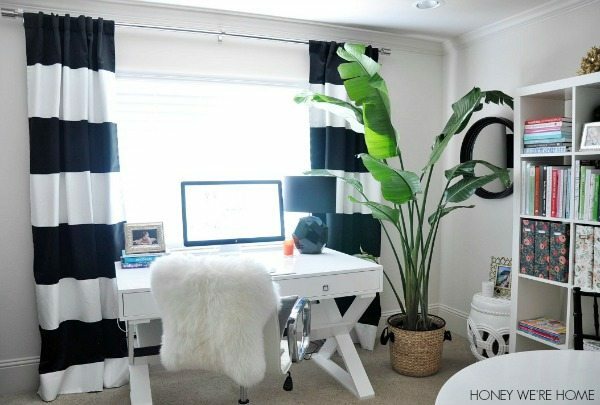 I credit home blogs, HGTV, decor magazines, interior design books, and designers like Nate Berkus for inspiring me along the way. Home bloggers are my favorite though. It takes a lot of courage to open up your home for people to see (and judge) online. I appreciate that they do it though, because I love visiting and getting to peek inside! We’ll be celebrating our 4 year anniversary in our home next month and I love it even more now than ever. When I come home, I feel welcomed by this familiar place. I hope your home does that for you too. Here is a peek inside our home and a reflection of the decor changes that have taken place in the last 4 years. In our living room, the sectional was the first major purchase for the house. I remember stressing over the purchase and the dimensions, but, thankfully, the couch fit the room perfectly! I wrote a review about the Pottery Barn Pearce Chaise Sectional (and I like it very much), but you can see how the back cushions have lost their shape. The worst one isn’t viewable in the bottom photo.Since 2010, we have updated the coffee table to the Renate Coffee Table Ottoman, side tables and lamps (a few times) as well as the pillows. The large urns have been replaced by toy boxes (Wal-Mart) so that our son can play with his toys downstairs and we can all be together in one room. 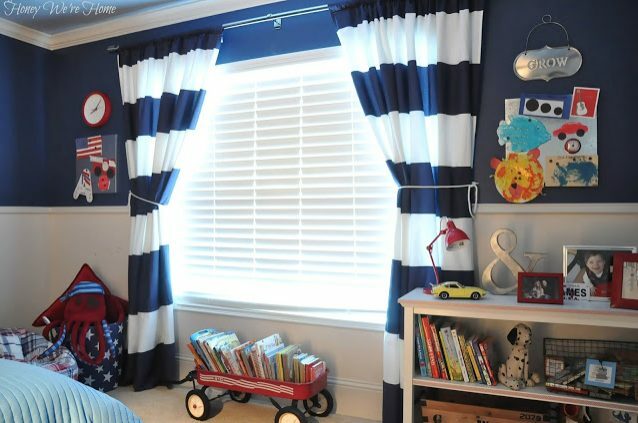 The day the curtains went up (on my son’s first birthday) made the biggest difference in pulling the room together. That means we had no drapes until we were in this house 8 months. 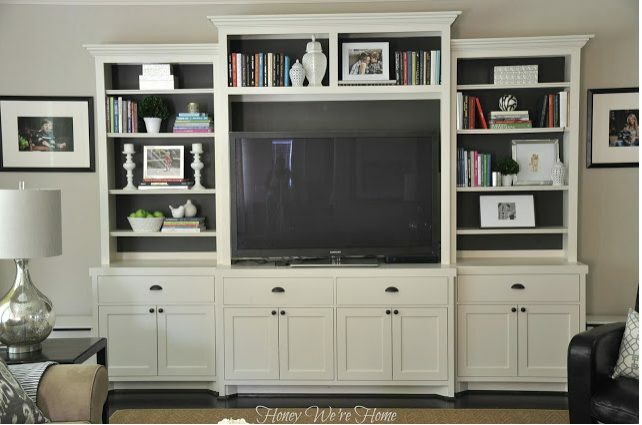 Painting the back of the media center and styling it made the room look more layered and complete too. At first it was painted a light blue, but then I changed it to Sherwin Williams Urbane Bronze. I get a lot of questions about this unit- it was built by the builders before we moved in. We have toys, games, art supplies, video games and DVDs in the cabinets below the television and bookshelves. 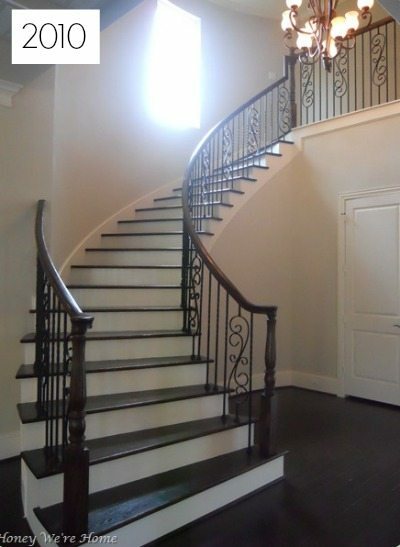 The stairway is a great focal point in our home, but I struggled for a long time with how to decorate the curve of the staircase. I painted the half-bath door Black Fox and then added the wide horizontal stripes, which continue on the adjacent wall leading to our front entry. Since this photo was taken, I moved the Ikea Docksta table back up to my office and I’m looking for a new table for this area. Having a mudroom adjoin my garage and kitchen has been a very wise choice. This space has always been practical, but not always very pretty. I made a bench seat with plywood, foam, and fabric and painted stripes on the back wall. Then, I added more hooks and created labels so we would know there was a specific place for everything. Our shoes go in the baskets below and keys hang just outside the door. No more lost keys! This space is functioning very well these days (and will be featured in an organizing book later this year!). The breakfast room is one of my favorite decorated spaces in our home. 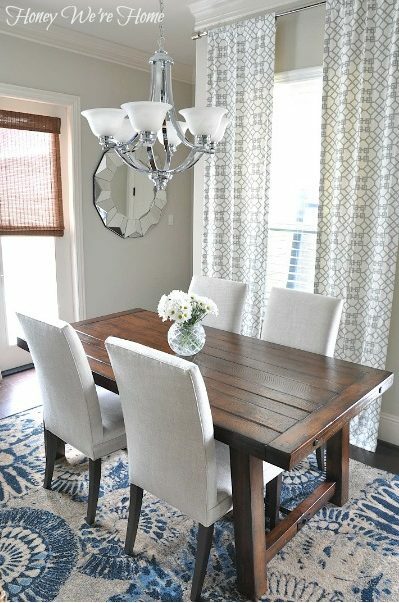 I think the patterned rug (Joss & Main) and drapes go so well together and I often switch up the chairs and benches around the Pottery Barn Benchwright table. 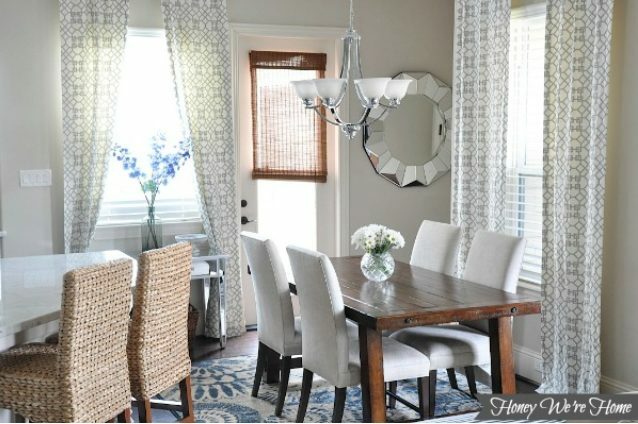 Again, hanging drapes made a world of difference and I love that Z Gallerie Portico mirror. You can sometimes find a similar one at HomeGoods. 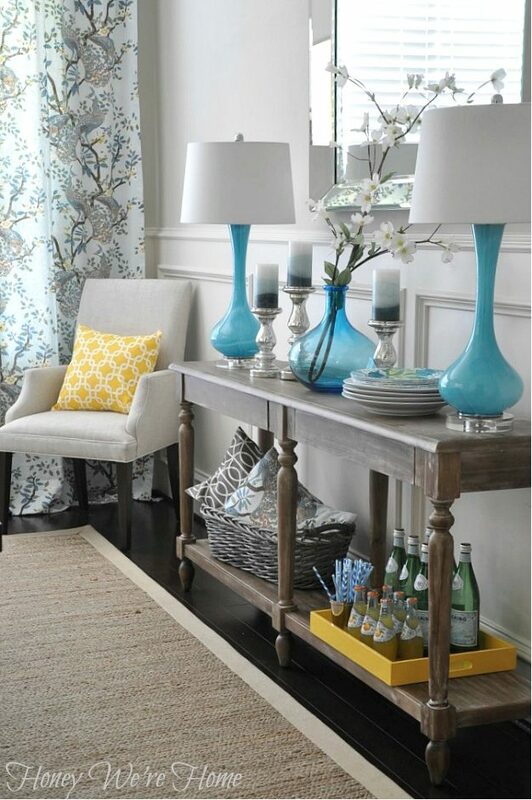 Adding the mirrored console table to the wall under the window is a great spot for corralling mail, keys, change and other things that come in the door with us to help keep the kitchen counters clear. 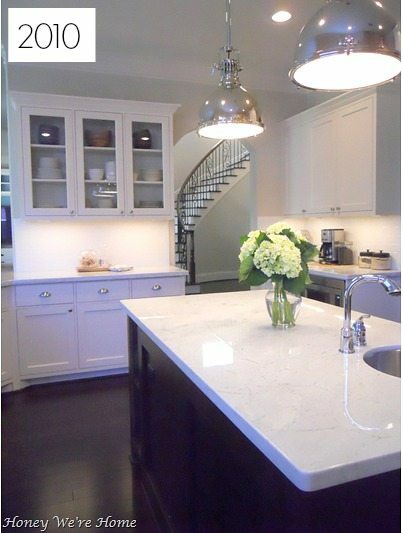 The biggest change to the kitchen would be the wall of our cabinets that I painted Urbane Bronze and then styled with white ceramic dishes. I keep meaning to make roman shades for the windows (I even chose and bought fabric) I just haven’t gotten to it yet. 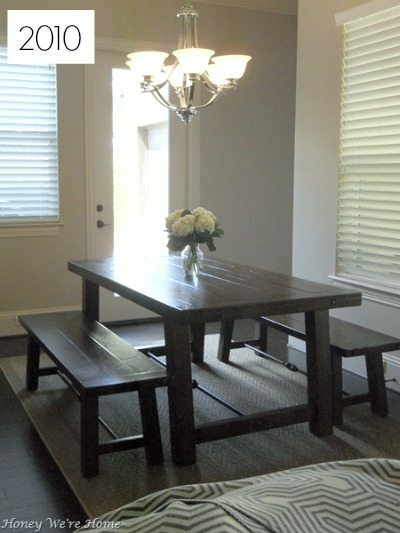 Formal dining rooms are often being turned into home offices or playrooms these days, but since we already have those spaces, we do use our dining room when we have people over and always on holidays. Every so often, I’ll eat there (especially breakfast) because I love the bright view and want to enjoy all the rooms in our house. It’s nice to use the good china and not keep it stuffed away in the cabinet. 🙂 I don’t have a very good shot of the entire room, but we did end up switching out the chandelier also. The drapes were made with fabric from High Fashion Home. Our console table is the World Market Everett Foyer Table. 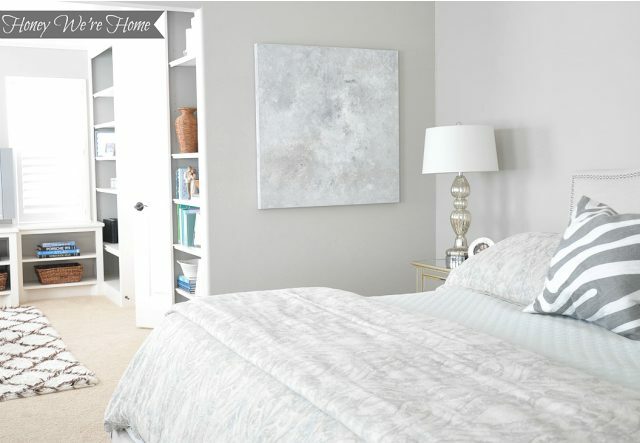 Our master bedroom is truly a retreat and I love getting in a good nap on a weekend afternoon or staying in bed too late with a few magazines and a cup of coffee! We have also added a leaning mirror and two x-benches to the end of the bed (that I still need to photograph). In the sitting room, we finally moved the leather chair and ottoman to the living room and the kid version to the playroom. 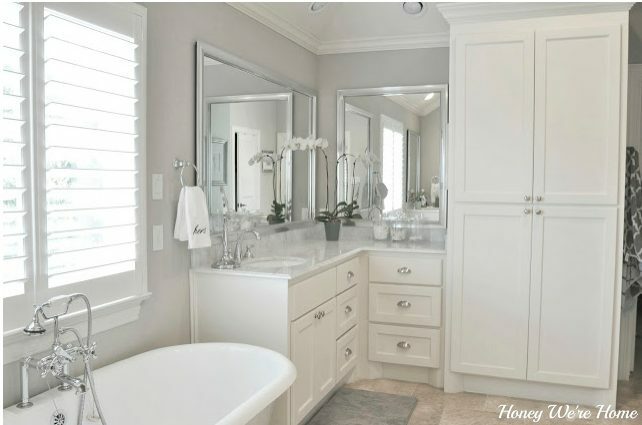 In the master bath, the only change is the window shutters were installed and some minimal decor. We also changed the towel hooks for a towel bar to help our towels dry better and prevent them from getting musty. Looking back at this closet I designed finally come to fruition makes me giddy. Turns out I have more space than I need, but I’m not complaining! I definitely wanted space for organizing everything, so I’m happy with the design. 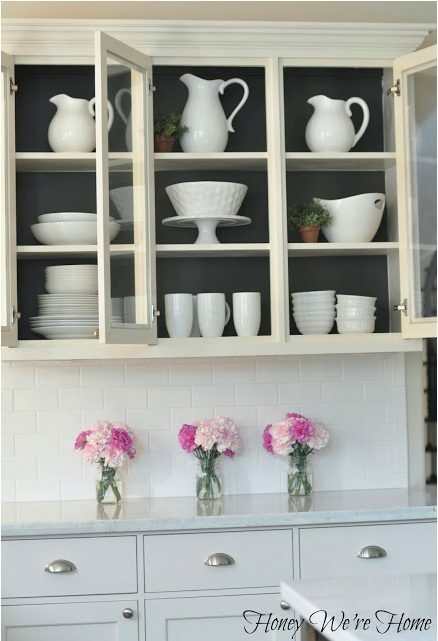 Since 2010, I have painted the island, shoe shelves and built-in dressy a high gloss pink. It’s much easier to keep clean now. As I mentioned above, our son was just a baby when we moved in and it’s here that we finally got to set up his crib and a give him a room of his own. Like any new mom, I have the fondest memories of rocking my baby to sleep, signing to him, and watching him begin crawling in this room. 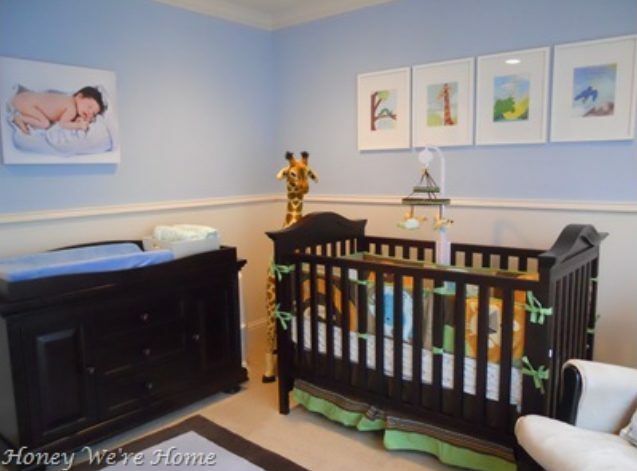 His room was assembled with love and we still have that crib (although he chewed a pretty good bit out of the top rail). Maybe we’ll get to put it back together again soon;) The crib and changing table are from Babies-R-Us. Our son is now at home in his “big boy” room and he digs it! We climb in his bed at night for prayers and bedtime stories and “pillow talk” (my favorite). I made his drapes with shower curtains from West Elm (I just had to add the length) and love that we use my husband’s old wagon for book storage. It’s sentimental to have something from his childhood in our son’s room now. 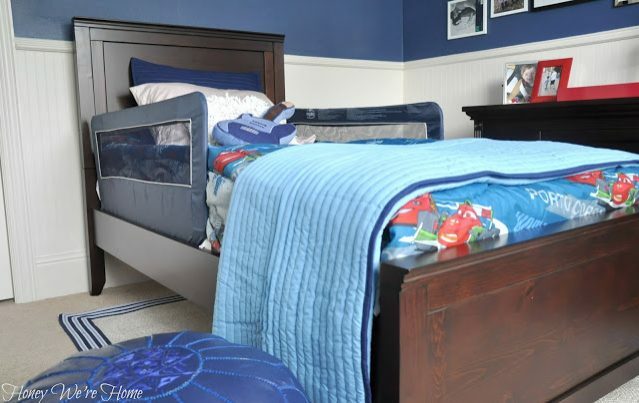 The bed is the Pottery Barn Kids Fillmore with rails from Amazon. Y’all may have seen my ‘new’ office earlier this week, but for comparison here ya go again. As you can see, it went from yellow and grey to black and white with pops of bright color. I wish I’d brought that plant in years ago! Looking back on these old posts shows not only the evolution of our decor, but my improvements in photography and styling! I’m sure my style will continue to evolve as and I get older and experience more and my photography will (hopefully) get better too. As a blogger, I sometimes feel pressure (probably put on myself) to produce fresh new blog content daily (and I love to do that) but I’m like any other person/mom who sometimes just wants to slow down and enjoy her family. There’s not always a big project (or any project for that matter) going on. We’re just hanging out or spending time with our extended family. Today was fun to just celebrate the progress and journey over the last 4 years. I’m so thankful for my sweet readers who have followed along on the way! Great post! 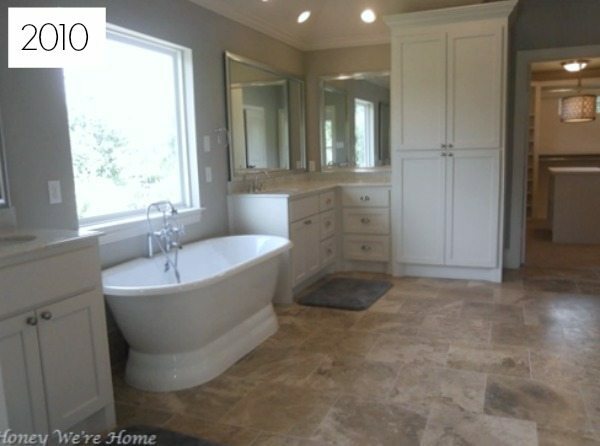 I need to remember to take some before and after photos when I remodel and redecorate. Oh for sure! It will be so fun to look back on! Hi Amanda! Thanks so much! Wish I could have you over in person! I do like the office so much better now! Have a great day Kim! I love your home and always thought you had great taste. It's even better now. Would you ever do a post about building a home? My honey and I are seriously considering it. I wrote about the process while we were in it. We used our good friend as our builder and he helped us so much. I think that's the first step- find a good builder that you are comfortable with and who has great references. Love the before and afters! 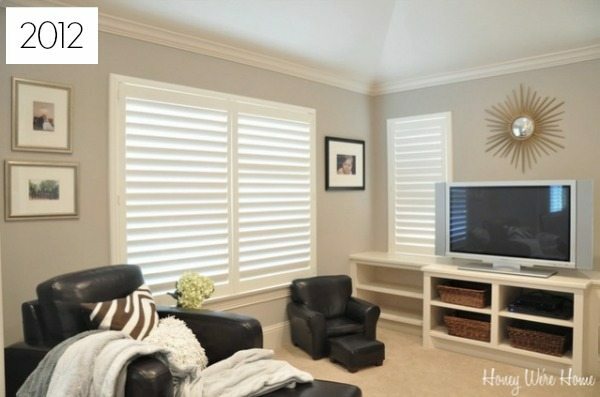 You mentioned a playroom, just wondering if you turned your guest room into a playroom? Hi Amy! No, we still have our guest bedroom. Our "media room" has never been formally set up as such, so we are currently using that room as the play room. My son and his friends love it! I love the style of your home and it's always so much fun to see how the spaces have evolved! Thanks so much Shelley! I agree, it's fun to look back. Although I was cringing on some of the older photography! I love how your house has evolved! It was lovely before, but has become more and more gorgeous! Ashley! You are so sweet! Thank you!! I am loving you style. I'm in the middle of a little sprucing up myself. I love what you have done with it. I just came across your blog for the first time and I am so glad I did. Been fun following along since the beginning. One of these days I need to share some of the "before" as in "WAY BEFORE" pics of when we first bought our home in 1992!!! Let's just say wedgewood blue and wallpaper were all the rage! LOL It is amazing how our tastes change as we get older and are more experienced in home decor. Your home is beautiful Megan, and it really does reflect your personality. Classy Chic! Quick question about your son's drapes. I've heard of people using shower curtains as window treatments, but I'm curious how you added length on them? Okay Sister! You HAVE GOT TO DO my Closet Confessions series. Please!!! Please!!! Please!!! Seriously. PLEASE!!!!! I will e-mail you to beg some more if I need to! 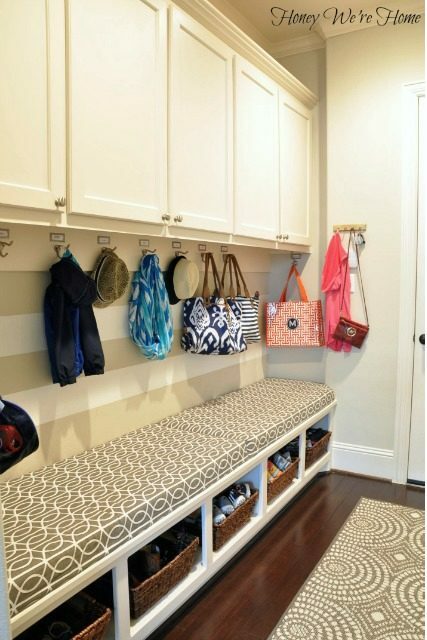 Your closet is GORGEOUS!!! Yes! Yes! Yes! I'm be honored to be part of your blog. I am forever indebted to you for learning how to mix brown and black! 😉 Have read that post a few times. Thank you Seher! 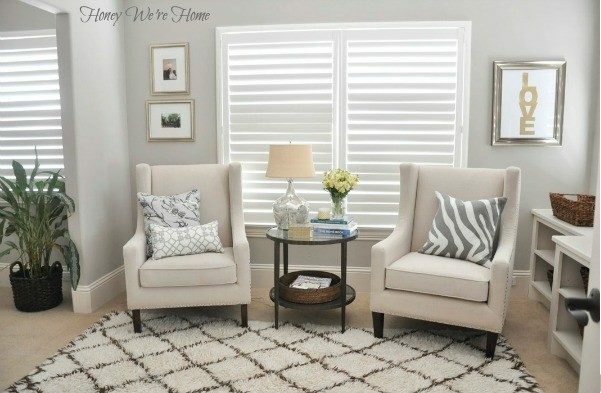 I didn't even realize how much stripe decor I had going on until I saw it all in one post! Ha! LOVE, LOVE your house and your taste. It was beautiful 4 years ago, it is beautiful today! I just read your blog for the first time and have been on it for over an hour (… instead of decluttering my closet…) Thank you for letting me know about it Megan! I fell in love with your home too Muriel! It made me want to come home and start cleaning everything- especially our floors! 🙂 Can't wait to have y'all over! Thank you so much. I am thankful for our home too. Have a great week! 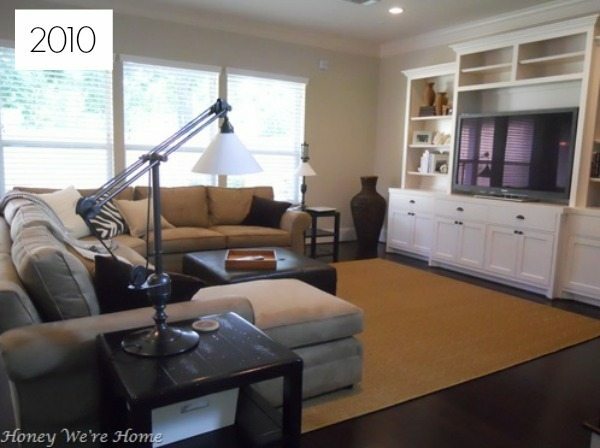 I love seeing how your home has changed over four years! It can be discouraging moving into a new home and wanting it to be "perfect" immediately. It is a process and a journey to make a house a home, thank you for allowing us to follow yours! You look fabulous! Good luck at the competition! Hi Megan — I'm currently looking for a new sofa and the Pottery Barn Pearce is one I'm considering. Is that fabric as easy to keep looking good as I'm hoping it is ?? Yes! It wipes up easily with soap and water- I've cleaned many spills up from this couch! Thanks so much Jen, you know first-hand how spaces evolve! Your home is so beautiful! We are building a home right now, and I keep bringing the builder and design center pictures of your home for inspiration. You kitchen is by far my most favorite kitchen ever! Oh my gosh, that's a huge compliment Amanda! Best wishes to you on your new build! 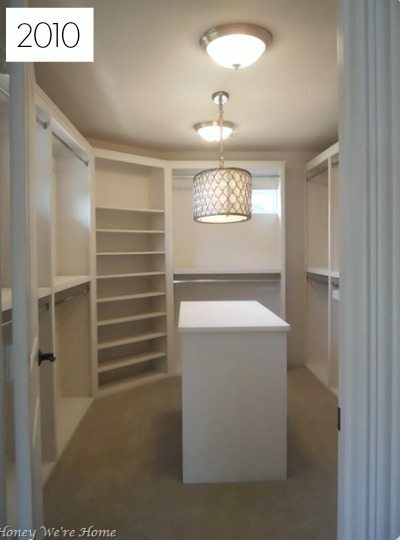 What is the size of your walk-in closet? Thanks. 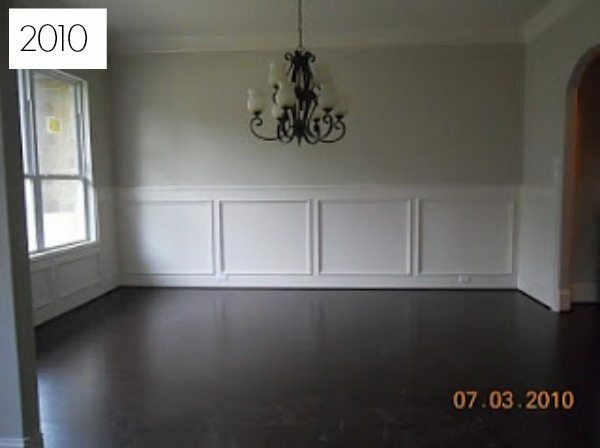 Love the wall color in the family room/kitchen. Would you mind sharing? THANKS! I love the soft area rug in your Master sitting. Do you mind me asking where you got it? I'm looking for one that is similar. Thanks girl! Your home is beautiful!!! Thank you Leah! That rug is from Pottery Barn. Your house is absolutely beautiful! My fiance and I are planning ours & I can't wait to get to decorating ours! I just love your house!!! It's absolutely gorgeous inside. Amazing! It is nice to see how a space changes with the love and effort we put into decorating it. I love your blog! Keep it up! the transformation is stunning..shows how much we grow and evolve over time and how our homes witness our journey while undergoing one of their own.. Thank you! 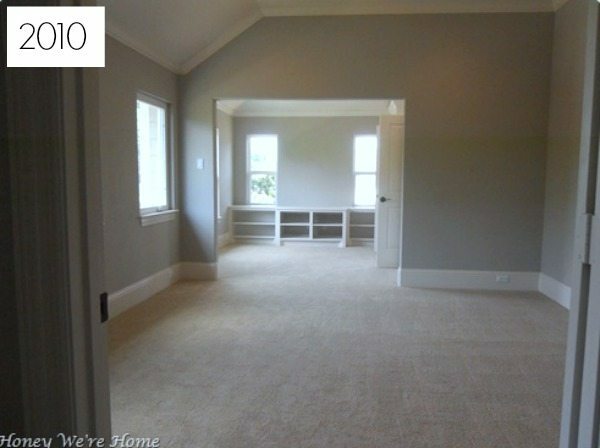 Im sure it's using a better camera that makes the rooms look brighter and also just figuring out how to use the camera. I use a Nikon D90. The living room and area near the stairs is the darkest in our home as the living room windows don't provide that much light based on the position of our home.